By default Foldr will not display hidden files. Enable this setting to allow users to view and access hidden files. Foldr can provide thumbnails of common image formats and PDFs to users connecting via the HTML5 browser interface or iOS app. Please note that you have to enable thumbnail support in the iOS app settings to use this feature. A service account can be configured on a per share basis and this is used solely by the system for file sharing purposes. Without a service account configured, file sharing will fail. The account used for the service account must have the appropriate permissions on the file server for the chosen sharing mode. Domain & file server security permissions are automatically respected by the Foldr system. As such, any share that a user does not have at least read access to is hidden from the interface. Foldr continues to respect the existing security permissions / ACLs within shares down to the individual file level. In some cases, the backend file server permissions are not as tightly enforced as they should be and there may be operational reasons for not adjusting the permissions on the file server. In this scenario the Foldr administrator can ensure only appropriate Active Directory users or groups are entitled to access the resource by using the ‘Permissions’ feature found at the bottom of the Share configuration screen. Note that ‘deny’ entries always override ‘allow’. 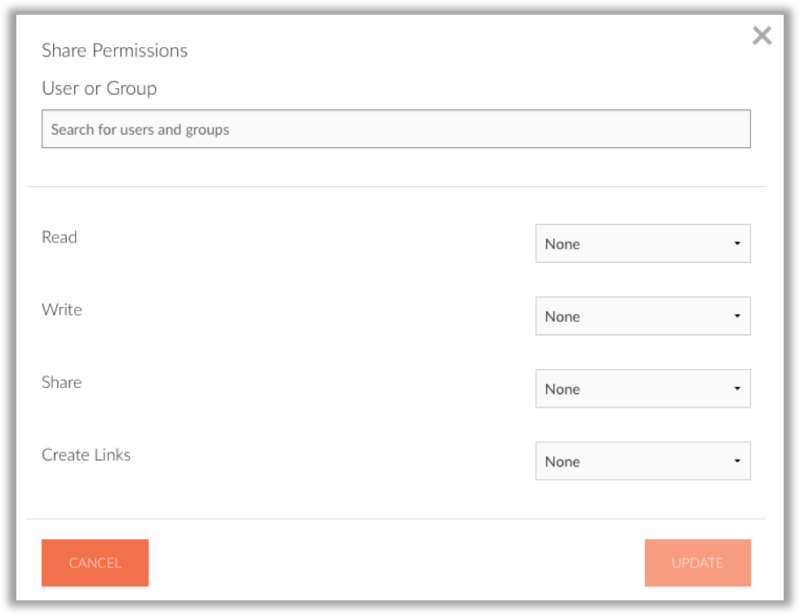 The exception being where individual user permissions override groups. Throughout the administrative Foldr Settings area, a built-in security group labelled ‘Foldr Users’ is used to apply permissions to all users of the system. As an example, when a new share is created, a default share permission entry for ‘Foldr Users’ with Read & Write permissions is assigned. As stated previously, due to the fact that Foldr automatically respects the existing permissions structures in place, if a user only has read only access to the share in question (backend permissions) they will only have read access to that resource, even if ‘Write’ permission is configured to either their specific account, a group that the user is a member of or Foldr Users in the dialog box above.